Organising the Tour du Mont Blanc involves multiple hotels, luggage transfers and airport transfers. It's a lot less hassle for someone to organise it all for you. During peak periods, good accommodation can be hard to find along the Tour du Mont Blanc. It is much better to book this in advance and be sure everything will work well. By organising the trip through a reputable tour operator, who specialises in the Tour du Mont Blanc, you can be sure of finding the route and navigating them safely. In addition, you need to decide whether to carry all your luggage as a classic back-packing trip or get someone to take care of the transfer of your main luggage from hotel to hotel. 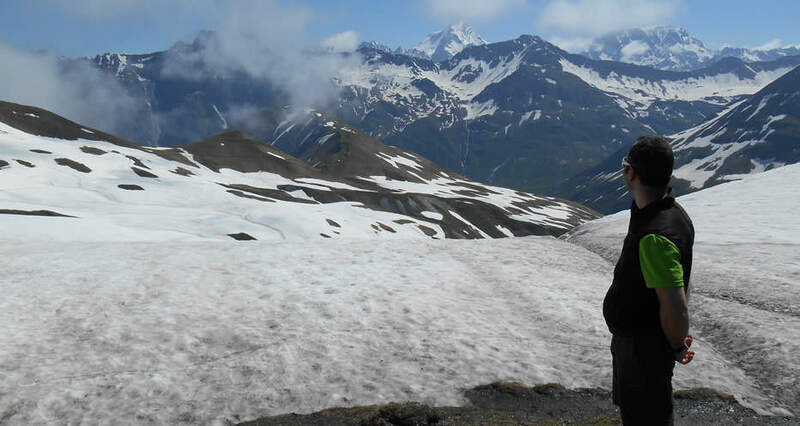 For a well-organised, comfortable, cost-effective and enjoyable Tour du Mont Blanc you are best to go through a reputable Tour Operator such as ourselves: Salamander Adventures. Our entire team is comprised of outdoor enthusiasts who have been walking amongst most of the world’s mountain regions for many years. Many of our staff are qualified British and International Mountain Leaders (IML) giving you the confidence that you will experience the safest and most enjoyable TMB. We have run guided and self-guided Tour du Mont Blanc’s countless times. We have walked it in both directions (clockwise and anticlockwise); organised it for large and small groups; done it in all manner of weather conditions; stayed at almost all the accommodations on the trail. We have an office in Chamonix to make sure we are able to directly provide all the assistance you need for your trek. This way, we save you the hassle of seeking out help on your own or working with third parties. Whether you pay through bank transfer, credit or debit card, the money you pay for your Tour du Mont Blanc is held in a trust account by the Travel Trust Association until you have completed your tour. Only when you have finished your holiday are your funds released to us.